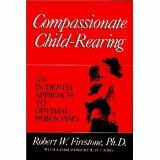 Communication with Children, Parenting, Parenting Advice By Lisa Firestone, Ph.D.
As parents, it’s safe to say that our number one goal is to make our children feel safe and loved. However, there is a lot of gray area and disagreement about what approach to parenting accomplishes this goal. Does good parenting mean staying by your kids’ side every second, warning them of any potential danger lurking around the corner? Or is it about taking a more laid-back approach, giving them space to grow and learn from their mistakes? How many rules are enough? How many are too many? Is my involvement in their daily activities helicopter parenting? Is my lack of involvement neglect? 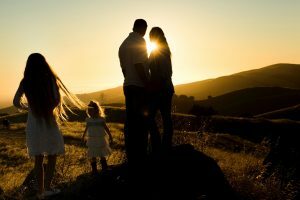 The truth is, while there is no way to be a perfect parent, there are many ways to be a good parent. 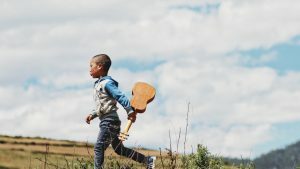 Whatever our unique approach or specific set of beliefs may be, it’s valuable to see our role as parents in perspective, as providers of a secure base from which our children can feel free to venture out and explore the world. 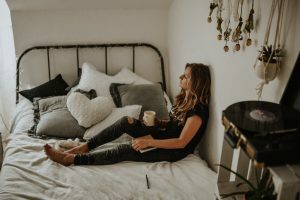 Finding this balance between protecting our children and letting them find their own way is a fine line to walk, but there are certain principles to keep in mind that I think can be useful for any parent to remember. Having passion and meaning in our own lives teaches our kids to feel the same way about theirs. Theyir passions and interests may not be the same as ours, but their attitude and approach toward them can be learned from our example. For instance, a recent study showed that childhood obesity is directly linked to the parent’s lifestyle, and that if parents have healthy habits, their kids will too. 2. Offer freedom within safe boundaries. Kids want to run free, but they can only truly feel secure enough to do so when we provide a safe foundation from which to venture out. Part of this sense of safety naturally comes from our being attuned, loving, and affectionate to them when they need us. It also comes from having boundaries that offer structure and indicate care. These can include certain standards of behavior such as knowing that there are specific ways we treat other people, share responsibilities, and take care of one another. When we treat our child as the center of the world or immediately indulge their every desire, we can actually create a lot of insecurity in them and a low tolerance for frustration that limits them later in their lives. 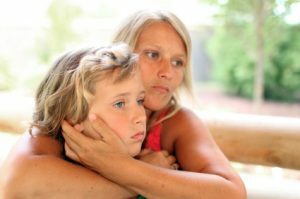 We do our child a great service by teaching them how to deal with disappointment and frustration and how to do things for themselves and others. 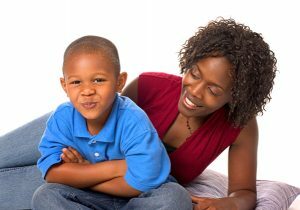 Our broader goal should be to encourage and celebrate our child’s independence, while always providing a secure and loving base. We can show our kids that we are there for them without over-intruding by supporting their unique interests separate from our own. We can encourage them to explore and have adventures without pushing them too hard. When they’re hurting, we can soothe them in ways that show them they’ll be okay and that teach them how to take care of themselves when things go wrong, so they develop a sense of their own resilience. In this way, we teach them to be free of us, while showing them that our feeling for them is always there. 3. Strive to understand our kids for who they are. As parents, it’s hard not to project ourselves onto our kids. It’s also hard not to channel our wishing the best for them into putting too much pressure on them. We can only do our kids justice when we recognize that they are not us. They’re their own separate people. Their interests are not necessarily our interests. They’re on their own path, and we may not always know how to relate to that journey. We can be curious and show interest in getting to know them for the individuals they are. We can observe them in various situations and interactions and experience what inspires them or draws them out. Of course, this doesn’t mean we shouldn’t impose any rules or restrictions along the way. It’s part of our responsibility as parents to equip our kids with their own sense of responsibility. It’s actually an offering of respect to expect certain things from them. Teaching them ways to take care of themselves, their home, or their schoolwork makes them feel competent and good about themselves. This helps give them a sense of purpose and build their self-esteem. However, we should balance our expectations of them with whole-hearted support for their own individual passions or interests. We should always offer our kids space to seek what lights them up and find where they belong. We can support them by being helpful where we’re needed and by stepping back when they need their independence. Allowing this space to exist shows our children that we respect them as unique and separate people. By accepting and encouraging them to have their own interests, we offer our children a more genuine sense of being loved and accepted. No matter what guidelines we impose upon ourselves as parents, this authentic feeling of love and acceptance for who our children truly are winds up being the most important gift we can give them. As parents, it’s safe to say that our number one goal is to make our children feel safe and loved.